When it comes to termiticides, there are two basics types: Repellents and invisible barriers. Repellent termiticides do just what they say – they repel the termites. While there are effective repellents on the market, the way they’re applied leave large areas of a property susceptible to infestation wherever there is no chemical barrier. At A-Agents, we only use invisible barrier termiticides, as we view them as being a far superior method of treating subterranean termites. When an invisible barrier termiticide is applied, the termites don’t know it’s there. As they pass through the chemical, they unknowingly become ‘infected.’ Because termites are such social insects, every termite the infected termite interacts with also becomes ‘infected’ and another ‘carrier’ of the termiticide. With this method, there is a much greater chance the entire termite colony will be exposed to the termiticide and destroyed. The best invisible barrier termiticides keep the termites looking healthy for a longer period of time so they can spread the chemical further through the colony (once a termite appears sickly, they are shunned from the colony as a form of protection). As we’ve performed over 10,000 termite treatments, we’ve seen what works and what doesn’t. 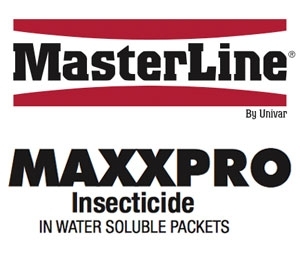 That’s why we offer a limited range of termite control products: Termidor, Premise, & I Maxx Pro. Termidor is by far our most popular termiticide, with Premise offering a chemical that, while still effective, is a bit more cost-conscious. I Maxx Pro is a generic version Premise, much like a generic aspirin (if you’re really on a budget). 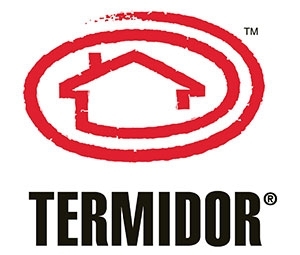 Whether you opt for the traditional Termidor SC, or the new and improved Termidor HE, you won’t go wrong either way. 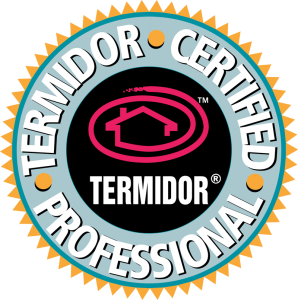 We highly recommend Termidor – as termite professionals, it’s the termiticide we’d use to protect our own homes. A non-repellent termiticide offering high performance, affordability and excellent value. Premise is not detected by termites, so they tunnel into the treated zone and become exposed to the active ingredient, imidacloprid. On a budget? Trying to sell your home and need an inexpensive termite treatment? I Maxx Pro is for you! A generic version of Premise, it’s just as effective and typically 20-30% cheaper! 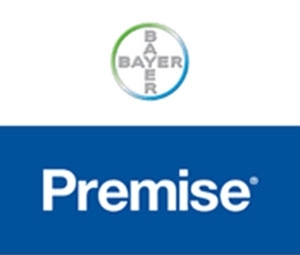 Termidor has also recently released Termidor HE, a state-of-the-art molecular technology that dramatically improves the transport of the active ingredient into the soil, creating an enhanced protection zone. Termidor HE “locks” to the soil around your home where it stays put, and stays effective. The Termidor HE also only uses half of the water of other liquid termiticides. This not only can save millions of gallons of the Earth’s most precious resource, and it also ensures a more precise application of the termiticide around your home. Because it uses less water and requires less drilling and equipment use than other liquid termiticides, Termidor HE can leave a much smaller environmental footprint. The reduction in water use, fuel use, and vehicle exhaust emissions can really add up when you consider that nearly one million termite applications are performed each year. We do not offer treatments using the in-ground baiting systems.